Hans Winter. (Austrian 1853 – 1944). Oil on panel. 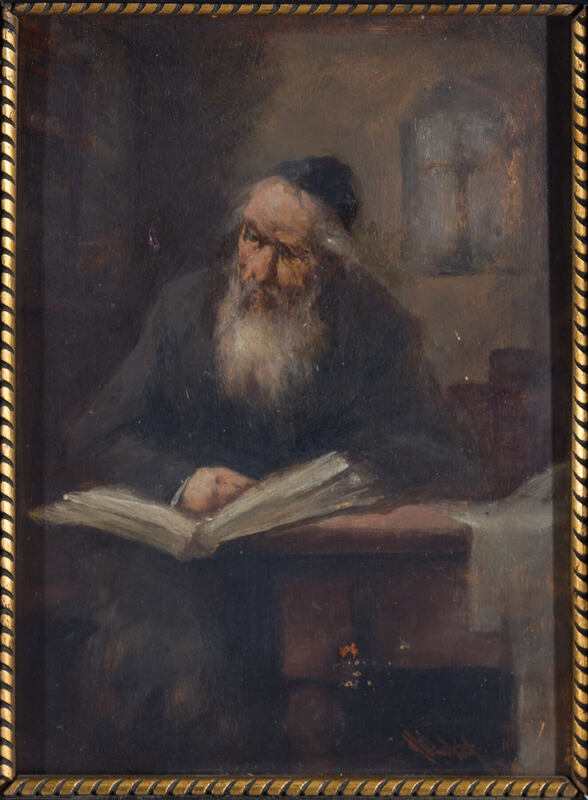 Religious jew in the beit medresh.8.3” x 6.1″ .